* Earl Francis Lloyd, also known as Big Cat, was the first African American to play in an NBA game at the age of twenty-one, and he was one of a handful of black basketball players to break the racial barrier and helped integrate the National Basketball Association. Lloyd was born on April 3, 1928, in Alexandria, Virgina, also known as Jim Crow Virginia. Lloyd was raised by his father, Theodore Benjamin Lloyd, and mother, Daisy Mitchell Lloyd. Growing up in Alexandria, Virginia, Lloyd lived under the strict system of Southern segregation in the era before civil rights, which kept Lloyd from talking or sitting next to a white person until he was drafted. Lloyd became a good student and an outstanding athlete at Lisle-Crouch Elementary School and Parker-Gray High School, also known as T. C. Williams High School , thanks to his mother’s wisdom which influenced him throughout his school days. As a youth, he received some advice from his mother that would need and follow later in his life. “Stupid people do stupid things,” she told him. “Small people do small things. Don’t let them get to you.” It was advice he would need and follow later in his life. Lloyd attended all-Black West Virginia State College, now known as West Virginia State University. His coach, Lewis Randolph Johnson, helped Lloyd to enroll at West Virginia State University (WVSU) after Lloyd graduated high school in 1946. 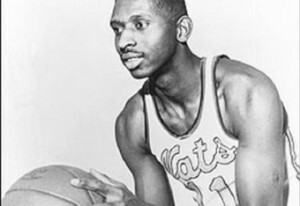 Earl Lloyd, the first black player in the NBA, lived in Institute and played for the West Virginia State College Yellow Jackets from 1946-50. 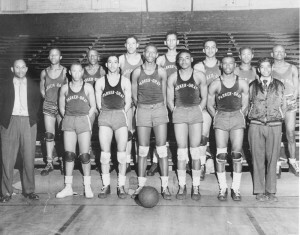 Earl Lloyd is at center in this photograph from 1949, courtesy of West Virginia State University Archives. 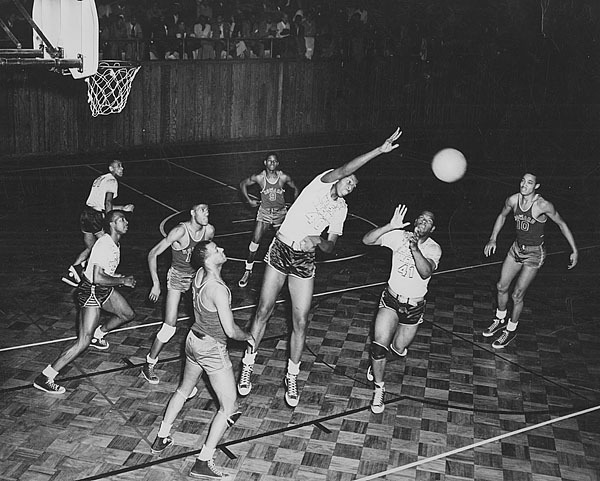 Lloyd was a forward known for his defense and led West Virginia State’s Basketball team to consecutive black college basketball tournament championships in 1948 and 1949. The National Collegiate Athletic Association (NCAA) and National Invitation Tournament (NIT) were still segregated at the time. He was named All-Conference three times (1948–50) and was All-American twice, as named by the Pittsburgh Courier (1949–50). As a senior, Lloyd was averaging 14 points and 8 rebounds per game, while leading West Virginia State to a second place finish in the Central Intercollegiate Athletic Association (CIAA) Conference and Tournament Championship. In 1947-48, West Virginia State was the only undefeated team in the United States. Lloyd graduated from WVSU with his Bachelor of Science degree in physical education in 1950. 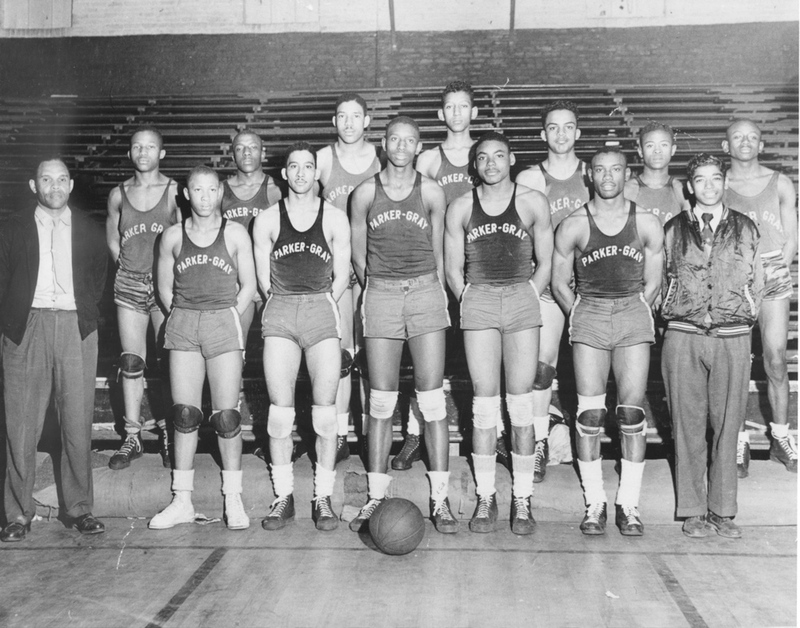 In 1950, Lloyd was among the first three Black players drafted by an NBA team when he was signed by the Washington Capitols as part of Washington coach Horace “Bones” McKinney’s starting five. Lloyd didn’t know he was drafted. Lloyd found out from a classmate, a little girl, who heard on the radio that some team in Washington called the Capitols drafted him to play for them. A week later they got in touch with Lloyd’s coach Lewis Randolph Johnson and told him a training camp was going to start, and they wanted Lloyd to be there for it. 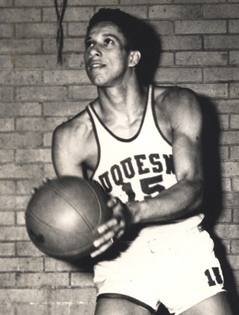 Chuck Cooper scored a then-school record 990 points in four years at Duquesne. 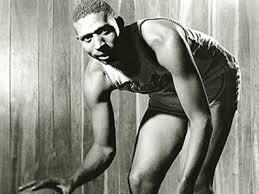 He became the first black player taken in the NBA draft in 1950 when the Celtics took him in the second round. Chuck Cooper, from Duquesne University, was the first to be drafted, taken by the Boston Celtics in the second round of the 1950 draft. Nat “Sweetwater” Clifton. – One of the first three African-American players in the National Basketball Association (NBA), Nat “Sweetwater” Clifton was actually the first under official contract to play in the league. He was a “first” in another way as well: he might be considered the NBA’s first black star. 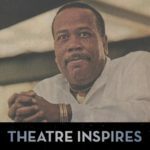 While Chuck Cooper and Earl Lloyd, Clifton’s African-American contemporaries who integrated the NBA in the year 1950, were low-key, low-profile players, Clifton was a popular figure and a born entertainer who delighted fans with his feats on the court. Some said that had he come of age in the era of multimillion-dollar endorsement deals, he would have scored big with his public-friendly personality and become a rich man. 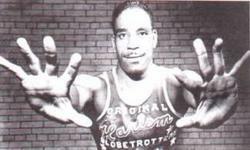 Nat “Sweetwater” Clifton from Xavier University of Louisiana was the first to sign an NBA contract with the New York Knickerbockers, which would later become the New York Knicks, after being acquired from the Harlem Globetrotters. But because of the different schedules of the teams, Lloyd, who was picked in the 9th round out of West Virginia State University, became the first to actually play in a game on Oct. 31, 1950 because of how the schedules were set up. Lloyd played one day ahead of Cooper and four days before Clifton.